EXCLUSIVE: Directors UK report concludes that there is “unconscious, systemic bias” towards male directors in UK. An extensive new report commissioned by Directors UK has found that in the decade from 2004 to 2014, only 13.6% of working film directors in the UK were women. ‘Cut Out of the Picture: A study into the gender and inequality amongst directors in UK film,’ examines the data behind all 2,591 films made in the UK across that decade to explore how female filmmakers are faring at all levels. The findings, which Screen will address in a feature to be published tomorrow, reveal that over that decade of study the situation not only stagnated, but worsened in terms of the number of female-directed films supported by public funding. Over that period, just 21.7 percent of films receiving public funding had a woman at the helm, and that support fell dramatically in the seven years from 2008 to 2014; from 32.9% to 17%. Crucially, the report found that women made up 50.1% of film students and accounted for 49.4% of runners and production assistants but, as careers progress, numbers decrease rapidly. While female directors directed 16.1% of films budgeted under £150,000, that figure dropped to just 3.3% for films with budgets above £30 million. These findings are supported by those of the European Women’s Audiovisual Network’s new report on gender equality in the European film industry, which finds that there is a huge difference between the number of female directors graduating from film schools (44%) in the seven countries of study and the proportion of female directors working in the industry (24%). The Directors UK report, authored by industry analyst Stephen Follows, concludes that there is an “unconscious, systemic bias” towards male directors, and is bold in its recommendation that institutional change is needed. It suggests a target of 50 percent gender parity for all public funding of film by 2020, the development of the UK tax relief to include formalised diversity requirements and an industry wide campaign for gender equality. Ben Roberts, director of the BFI Film Fund, points to the BFI’s commitment to equality, and the BFI’s own Diversity Standards (formerly Three Ticks) introduced in 2014. Directors UK has close to 6000 members. Its board includes directors Susanna White (Our Kind Of Traitor) and Iain Softley (Hackers). 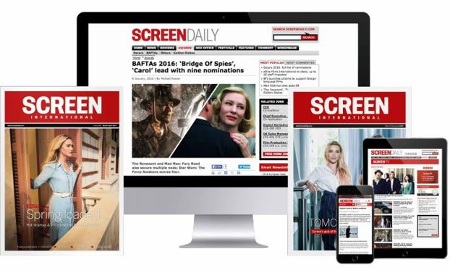 Screen will publish our feature on the full Directors UK report tomorrow morning and the report will be available on the Directors UK website from tomorrow.